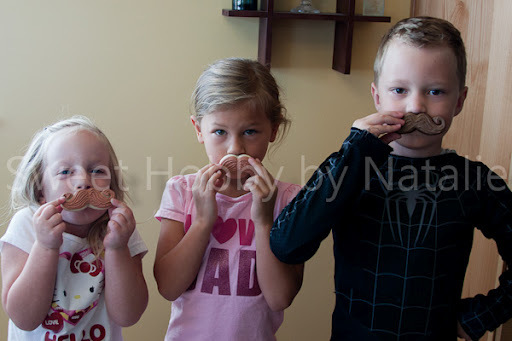 Sweet Shop Natalie: 1st Milestone = Giveaway! I just reached 100 likes on my Facebook page and I wanted to say thanks to my blog followers and Facebook friends. It may be a small number but I am so appreciative to those who do enjoy my work and give me support to continue my hobby. Monday I went to Gygi Inc. to pick up a prize. 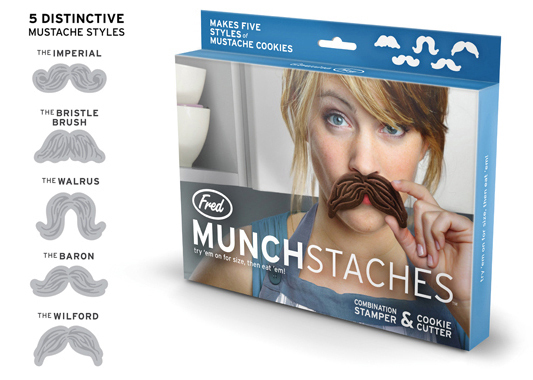 On a prior visit I saw that they carried these cool Munchstache stamp/cookie cutters. But on this trip they were all sold out. :-( .............But they had the Crustache! This is the way to go to get the bang for your buck. The Crustache is made as a sandwhich cutter but you can use this as a cookie cutter no problem and you are getting 3 cookie cutters in 1! Look at what great cookies they make! Ok so now onto the giveaway. 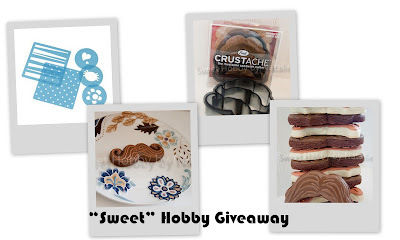 "Sweet" Hobby 100 likes milestone giveaway! Earn 1st entrance by leaving a post on my blog. Receive a 2nd entrance by liking my Facebook page. Giveaway ends midnight Thursday August 16th! I'm reposting this contest on my FB page. I hope you keep getting followers. You do such fun things. My favorite 2 baked goods are 1) sugar cookies and 2)Salty Caramel Cupcakes made by Brown. I'm sad I didn't see you sooner. We just had a pink explosion baby shower for my daughter and we bought really expensive cookies. I would have loved your little dresses in pink frosting. Next time I guess. I am sad too. :-) Thanks for looking at my blog! Chocolate chip cookies without nuts!!! You continue to amaze me with your great work! Black forest cake is always my favorite baked good! I love your cookies!!!! Thank goodness you didn't do this when we were roommates or I'd weigh about 500 lbs! 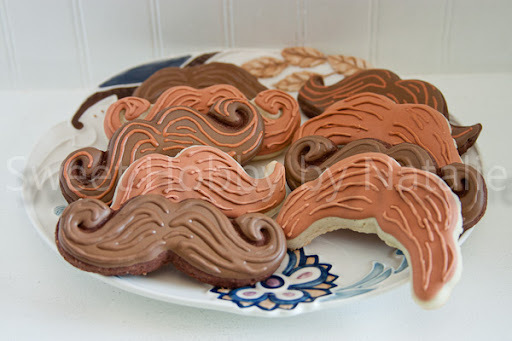 Very cute mustaches! Lovin' them as I do everything you make! Such a sweet giveaway! I love anything chocolate! Could you do any couples that include Hungary and a missionary? My soon leaves the MTC in a month and your cookies would be AMAZING. I like brownies or scones! 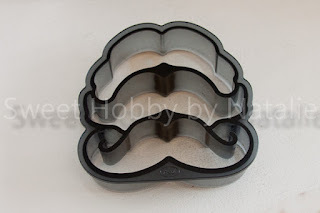 Favorite baked good? Homemade bread! 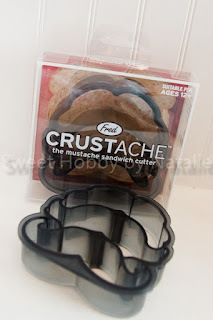 I love that mustache cutter! And I also love cinnamon rolls. My favorite baked good is cookies -- pretty much any kind! :) I love you blog and all of your amazing (and delicious) creations! I wish you lived closer so I could be your taste tester!